Ready to render in Blender Cycles, All objects are grouped for easier import into scene. Animated: No; Low-poly: No; Materials: Yes; Rigged: No; Textured: No; UV Layout: No; 3D File Formats Included: .3ds (multi format), .blend (blender), .obj (multi format); Created In: blender; Geometry: Polygons; Poly Count: 100000. 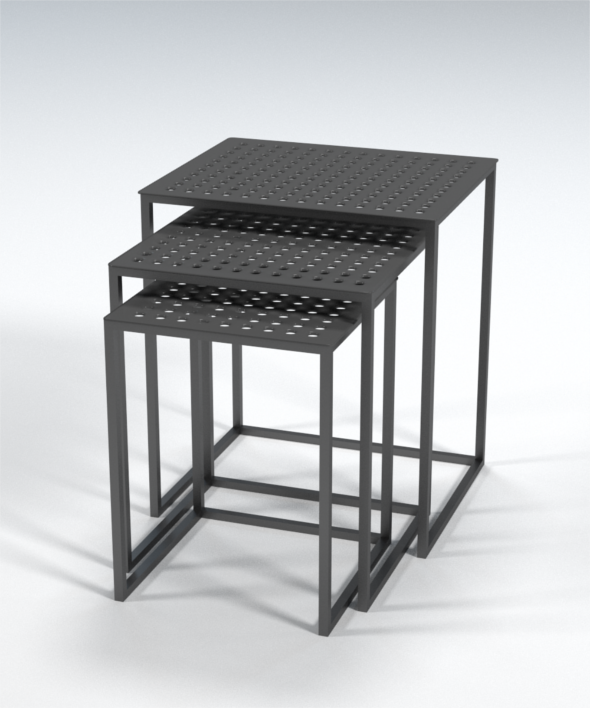 Keywords: architecture, blender, design, furniture, interior, side, table.